I absolutely love this dress! It is a great transitional piece..I can wear in the summer time with sandals, on rainy days with rain boots and in the winter with tights and riding boots. I snagged these beautiful boots this past winter for $79.99 at www.usa.hunter-boots.com. Originally priced at $140. I do believe in sale shopping…realistically it is the only way I can afford most of my clothing! 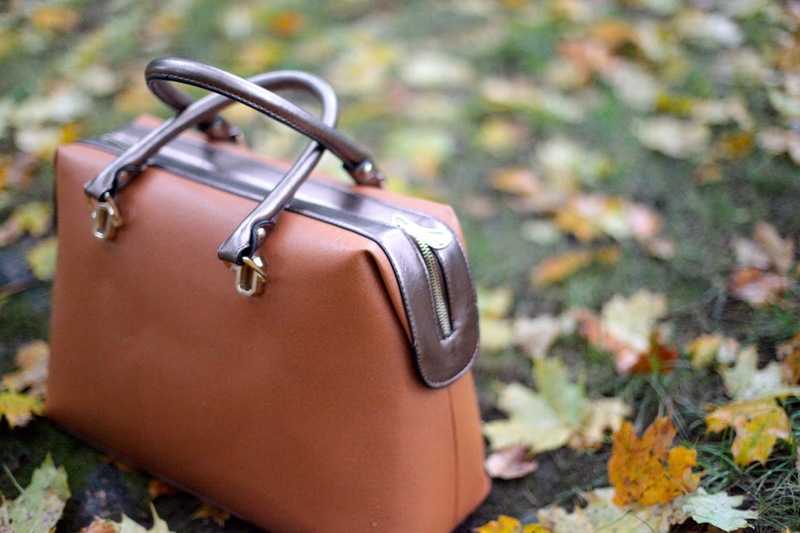 This purse is a dream find! I saw it in the window display at TJ Maxx near Columbus Circle one day on my way to work. So I popped in just to find out the price…and it was only $29.99! I bought the label less purse and I absolutely love it. However, I have been told that it looks like a suitcase, but I don’t care! 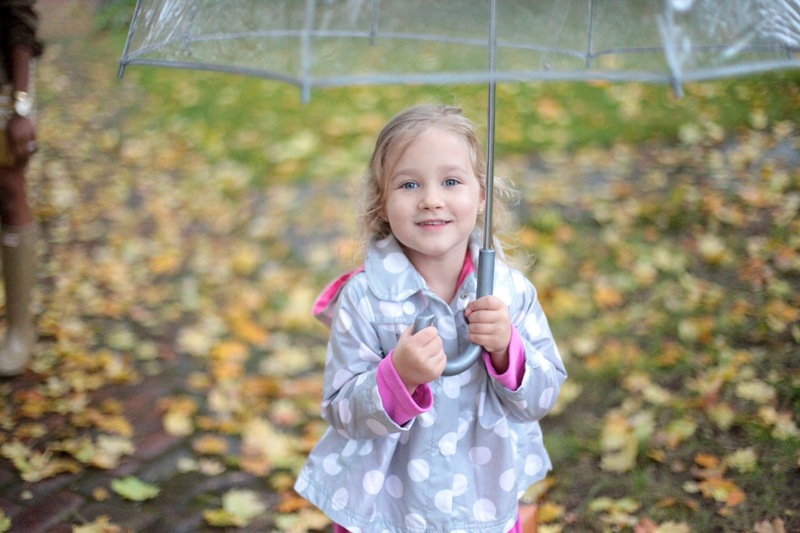 My sweet niece, Rae, came along for the rainy day shoot! Isn’t she cute?! Rainy day fashion just isn’t rain day fashion unless you have rain boots! So naturally for this look, my Hunter boots were the foundation piece! From there I knew I had to run errands post shoot and teach dance classes, which were indicating factors that the outfit needed to be both practical and moveable! With there only being a hand full of moderately warm days left here in West Virginia, I decided to go with a dress. 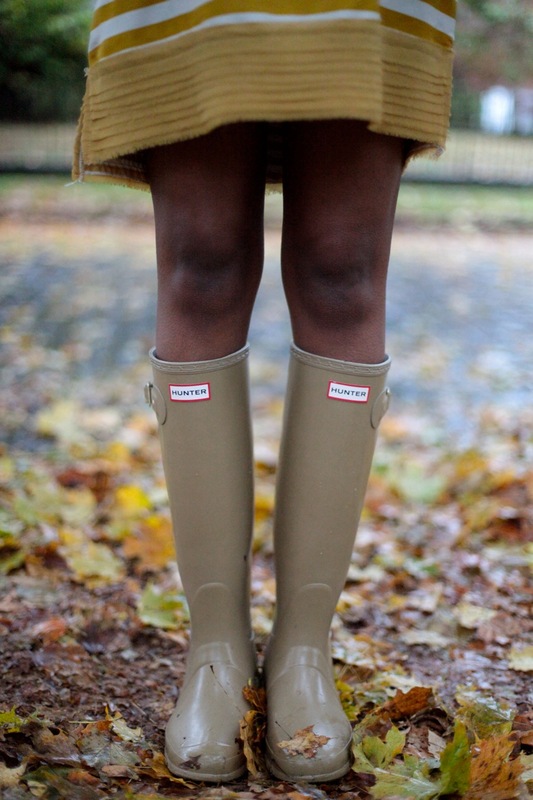 Also, I just hate wearing jeans with rain boots…I feel trapped! lol. From there I then added the green military jacket. 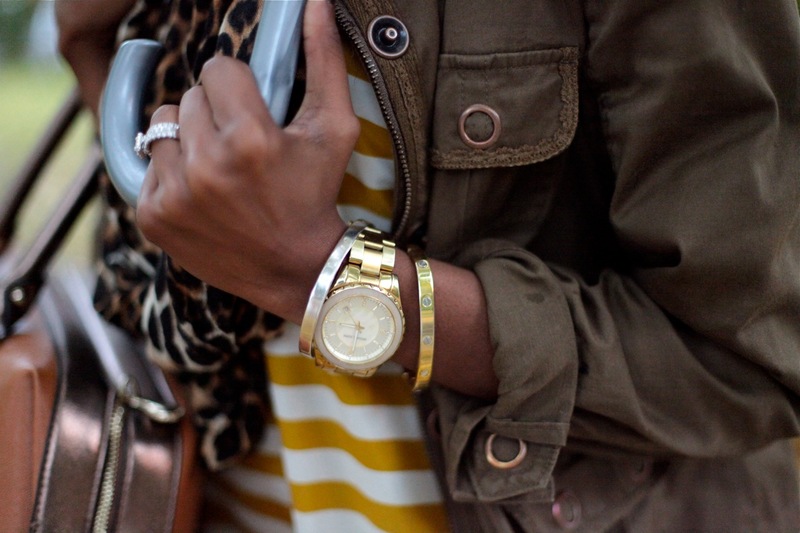 The mustard color in the dress and the hunter green jacket nicely represent the change in seasons, which is why I put them together. Oh yes, and carrying that particular bag = a no brainer for me! It just felt right, but that did not complete the outfit as I felt something was missing. I played around with a couple of statement necklaces and that did not work so I moved on to scarves. 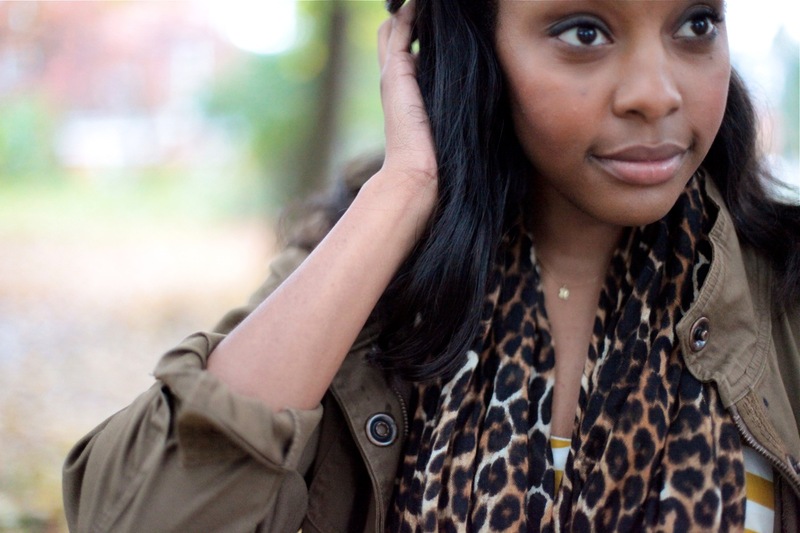 And I do believe that my decision to wear the cheetah print scarf pulled all of the colors and textures together! Okie dokie, so if one might ask my advice on pulling together a look similar to this, I would simply say…EXPLORE, EXPLORE, EXPLORE! Decide what your must have pieces are for your rainy day look are and build accordingly, based on your adventures for the day…whether that be work, coffee with friends or running to the grocery store! 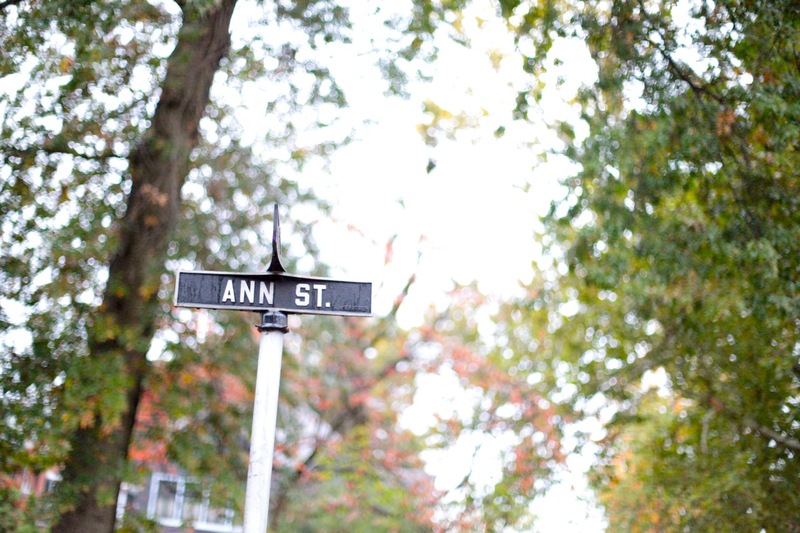 Also, I would advise a little Pinterest research. 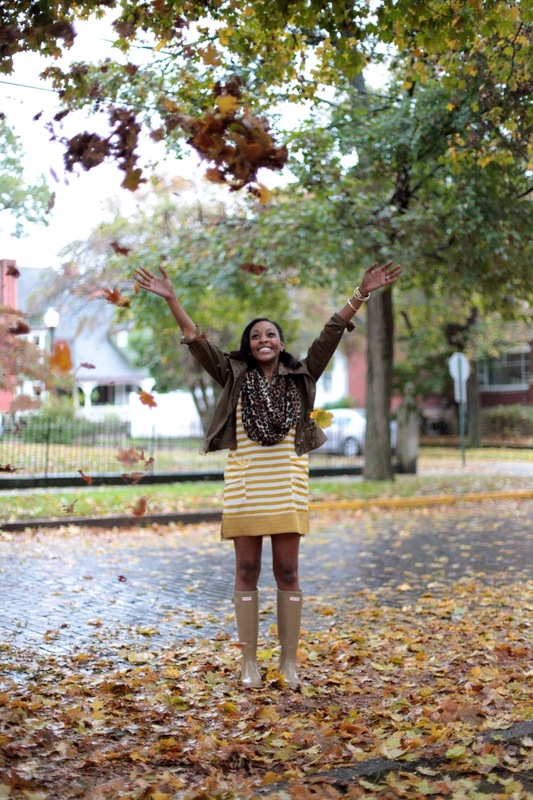 There are tons of great bloggers who have pinned awesome rainy day fashion imagery just for YOU! P.S. A super duper big thank you to my sister-in-law, best friend and photographer, Katelyn, for scouting such an awesome location. This was our best shoot yet!